I have so much to share with you all!! I had an AMAZING weekend and came home to very good news. 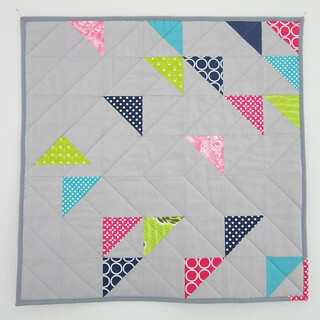 I linked my Flock of Crazy Birds mini quilt to Megan's Festival of HSTs and made the Top 10! What?! I looked through those entries and they are so amazing. I'm am so so so honored to have made it to the top 10. Voting is open until Wednesday night, so I suggest you head over there soon and vote for your favorite. 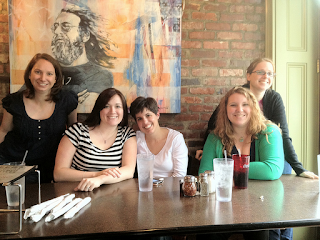 Now are you ready to see what happens when 5 quilters (Cherie, Kelly, Cara, Kaelin, and me) get together? There was a hunt for AMH fabric. It was exhausting and I was only watching!! We also did some sewing. I made this sunglasses case from a metal frame I had and Kelly's scraps. 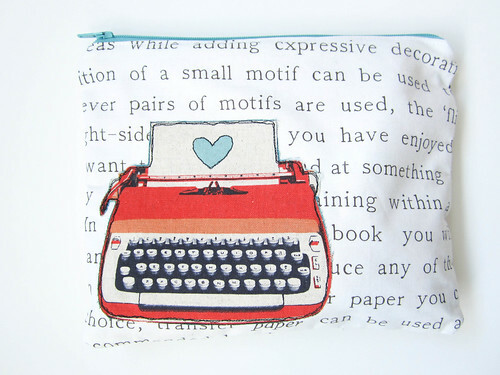 A pity pouch from Kelly (a la Amber from One Shabby Chic). Fabric from Kelly's destash pile. 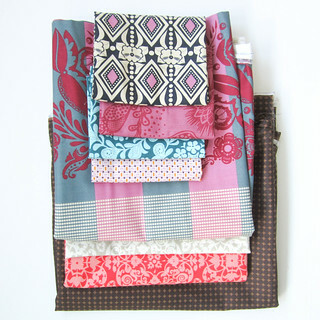 Fabric from the store. Large cuts for quilt backs and some AMH. I can't wait until we do it again ladies, hopefully with a few more friends. I miss you guys already! We really need to hold a summer session! Summer sounds great! I don't think I could wait until fall! Love your Flock of Birds! 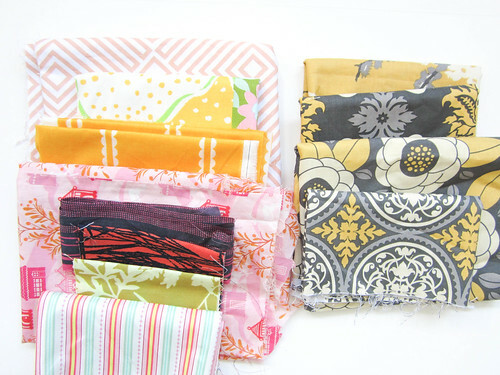 Your trip sounds so FUN and what great fabric finds! Good luck in the competition! Congratulations on the top ten!! 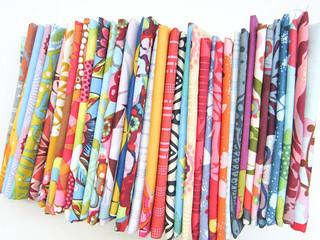 I read about that store on Kaelin's blog - all about the bags of fabric lining the walls and the dust bunnies. So funny! Sounds like you guys had a blast.